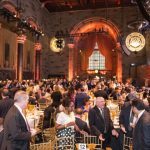 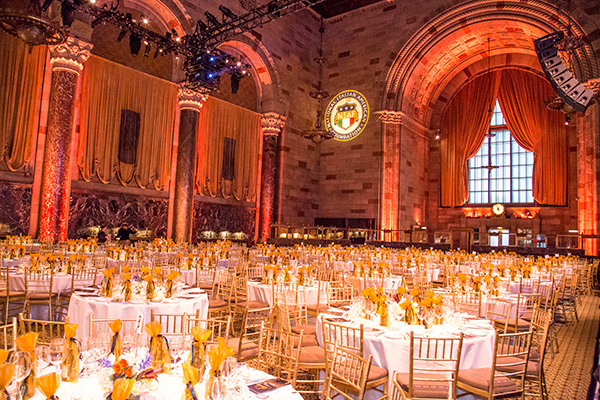 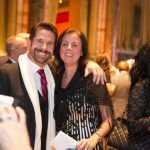 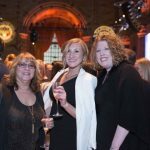 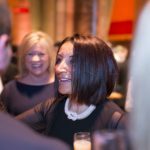 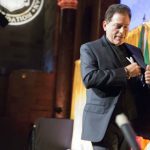 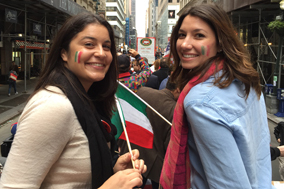 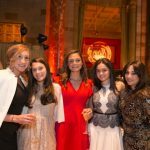 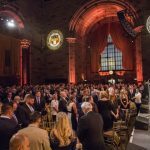 More than 700 Italian and Italian Americans from New York and around the world attended the sold-out event making it a lively, high-energy affair. 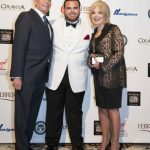 During the cocktail reception, guests, VIPs and honorees mingled, enjoying Cipriani’s light Bellini cocktails while bidding on NIAF’s silent-auction collection of sports and film memorabilia, exclusive designer accessories, and one-of-a-kind travel experiences. 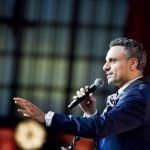 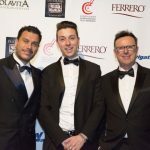 The Emmy Award-nominated Australian-Italian performer Alfio kicked off the evening with incredible renditions of the national anthems of the United States and Italy. 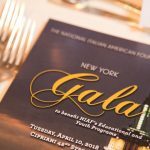 New York Gala Dinner Chairman Gerard S. LaRocca, a member of NIAF’s Board of Directors, and chief administrative officer, Americas at Barclays Capital, thanked the Foundation’s New York Committee and the evening’s sponsors for making the NIAF New York Gala into the vibrant institution it is today. 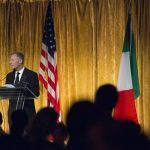 The Italian Consul General of Italy in New York, Minister Francesco Genuardi, welcomed the crowd on behalf of Italy, emphasizing the important relationship between Italy and its diaspora of Italian American communities throughout the United States. 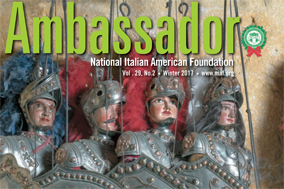 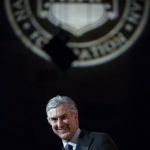 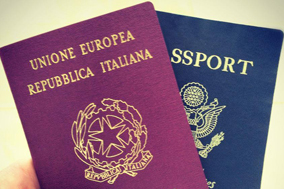 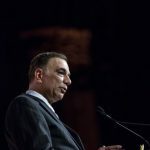 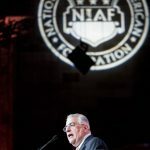 He thanked NIAF for the organization’s work in promoting the study of Italian language in today’s schools and universities, and continuing the legacy of their Italian ancestors. 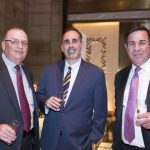 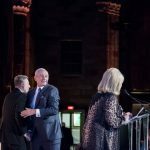 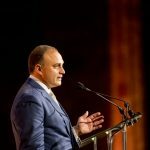 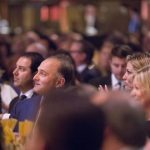 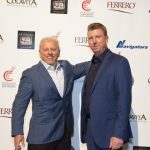 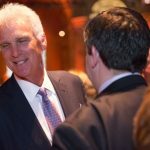 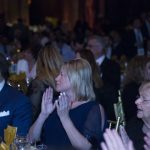 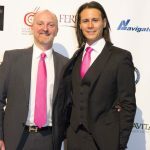 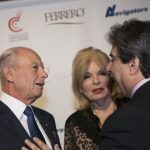 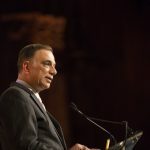 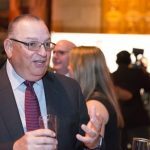 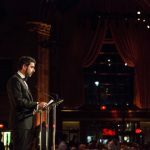 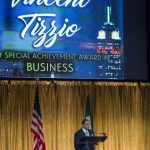 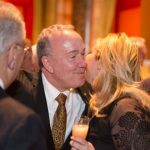 Following an exquisite, three-course meal, that Gargiulo introduced the evening’s first honoree, Vincent C. Tizzio, president and CEO of Navigators Management Inc., who received The National Italian American Foundation Special Achievement Award in Business. 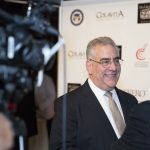 Tizzio was pleasantly surprised by video messages from two of his children who could not attend the event, congratulating their father on his well-deserved award. 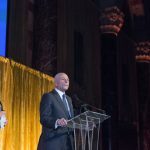 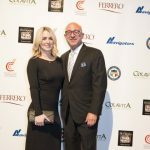 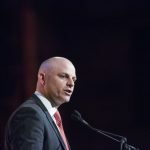 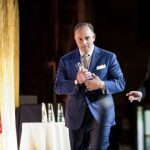 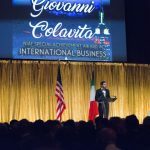 Giovanni Colavita, CEO of Colavita USA, received The National Italian American Foundation Special Award in International Business for his work in his family’s business of olive oil and Italian products. 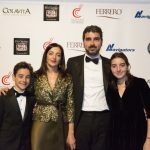 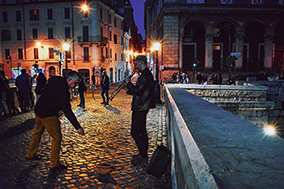 Colavita explained to the crowd that without his family’s upbringing, and without the support of his wife and two children, he would not be where he is today – a sentiment that is so emblematic of Italian culture. 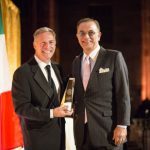 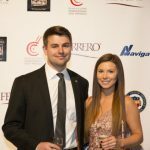 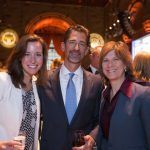 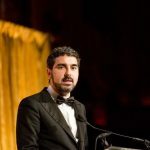 Joseph Sebastian Fichera, CEO of Saber Partners, received The National Italian American Foundation Special Achievement Award in Finance for his considerable accomplishments in the world of corporate finance. 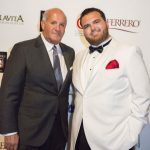 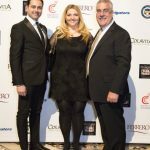 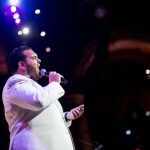 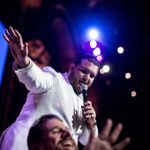 Between awards, Sal “The Voice” Valentinetti, the hit sensation of the NBC-TV’s “America’s Got Talent,” dazzled the crowd with his classic Italian American crooner style, singing some of the greatest hits from the Sinatra songbook. 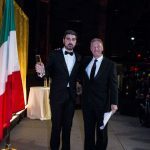 Ronald Lo Russo, president of Cushman & Wakefield’s Agency Consulting Group, and the night’s final honoree, received The National Italian American Foundation Special Achievement Award in Real Estate. 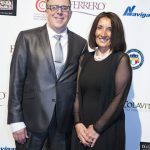 The evening concluded with a selection of decadent desserts, and a message from NIAF’s Co-Chairs Gabriel A. Battista and Patricia De Stacy Harrison, who thanked the crowd for their continued support of the National Italian American Foundation and the important work the organization does in preserving Italian American heritage and supporting the future of our community through grants and scholarships.